rajbhog recipe | rajbhog sweet | kesar rasgulla recipe with detailed photo and video recipe. yet another simple and classic bengali sweet recipe prepared with milk solids and kesar strands. these bengali dessert are very similar to the popular rasgulla recipe and are generally prepared with milk solids or chenna. these desserts are generally prepared during the festival season of navaratri and diwali within the bengali community. rajbhog recipe | rajbhog sweet | kesar rasgulla recipe with step by step photo and video recipe. the texture and pattern of rajbhog sweet are more or less similar to rasgulla recipe, with a major difference in colour and dry fruits stuffing. in addition, these paneer based desserts were typically prepared for kings and during festivals and hence are bigger in size to other bengali sweets. hence the name as raj bhog sweet for this simple paneer cheese dessert. basundi recipe | how to make basundi sweet | easy milk basundi with detailed photo and video recipe. basically, a sweetened evaporated milk prepared by boiling the milk till it is reduced. it is later served chilled with toppings from dry fruits like pista, badam and cashews. the recipe is very similar to the popular north indian rabri recipe and basundhi is particularly famous in western and south indian states. basundi recipe | how to make basundi sweet | easy milk basundi with step by step photo and video recipe. generally, the recipe for basundhi is prepared by simmering the full cream milk which is a common step for any milk based dessert. but there are several variations and also instant recipes too which should hasten the steps. but with this recipe, i am sharing the traditional way of making it by boiling it in low flame till it reduces to quarter. milk cake recipe | milk cake kalakand sweet recipe | milk cake mithai with detailed photo and video recipe. an indian sweet dessert recipe prepared from solidified, sweetened milk which is prepared during festival and religious events. an instant version of the same recipe is prepared with paneer and condensed milk, but traditionally it is prepared by solidifying the milk. 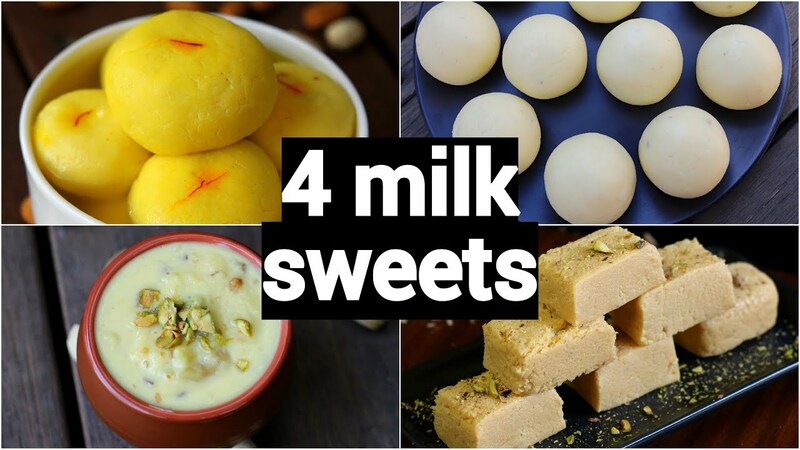 milk cake recipe | milk cake kalakand sweet recipe | milk cake mithai with step by step photo and video recipe. this exotic milk based sweet is also known as kalakand which was traditionally originated from rajasthan. popularly milk cake recipe is prepared during holi, eid, diwali and navaratri festival, but certainly can be prepared without any occasions and served as dessert.